Ardiente is a handsome colt sired by our very own Dartañan ADF. 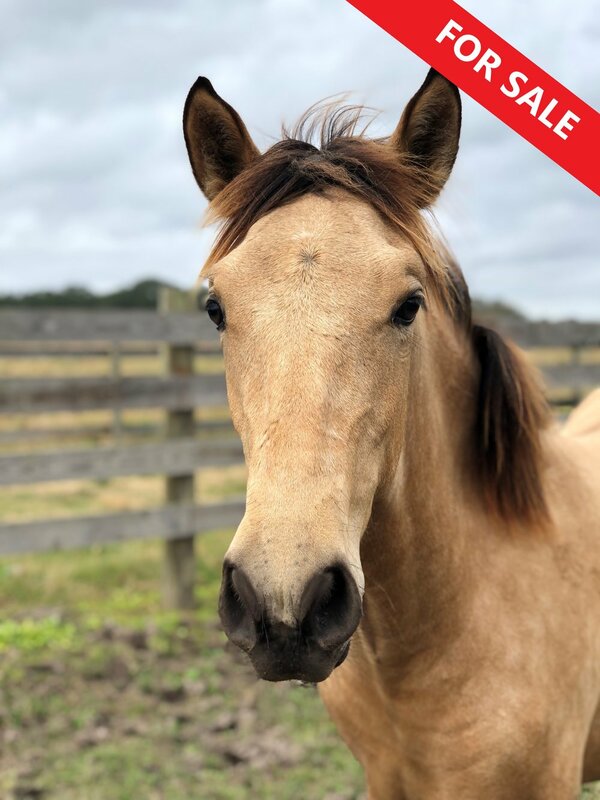 Out of our stunning perlino mare, Alyanna, his buckskin color is stunning. We love his kind eye and curious personality, and are confident he will be an excellent asset to a future breeding program.